Ashley McBryde is a Grammy-nominated American country music singer and songwriter. She was nominated for Grammy Awards for Best Country Album for her album Girl Gone Nowhere. She won ACM New Female Artist of the Year in 2019. She has over 57.6k followers on her Instagram. 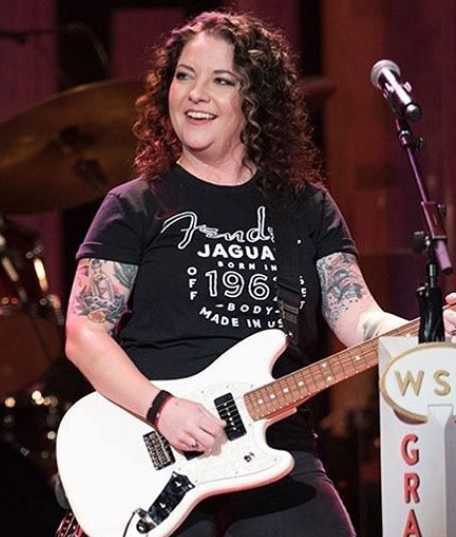 Ashley McBryde performed her breakthrough song "Girl Going Nowhere" at the 2019 ACM awards at the MGM Grand Garden Arena in Las Vegas on Sunday 7 April 2019. She had the best time of her life. The crowd loved her performance and praised her with a standing ovation. She won the New Female Artist of the Year and is nominated for Female Artist of the Year. Her song "Girl Gone Nowhere" was listed as one of the favorite songs by former President Barack Obama. She released her major label debut album, Girl Gone Nowhere in March 2018. Her album peaked at No.7 at the Billboard chart. What is Ashley McBryde Famous For? - Her single "A Little Dive Bar in Dahlonega" and "Girl Going Nowhere". - Grammy nomination for Best Country Album for Girl Gone Nowhere. When was Ashley McBryde Born? Ashley McBryde was born on 29 July 1983. She was born to a father, William C. McBryde, and a mother, Martha A. Wilkins. She belongs to White ethnicity. Her birth place is in Mammoth Spring, Arkansas in the United States. She holds American nationality. Her zodiac sign is Leo. She has 3 siblings, William Clayton McBryde, Jr., Aubrie McBryde, and Dan McBryde. Her older brother Clayton died in June 2018. She began playing her father's guitar as a teenager. She already started writing music by the age of 12. She grew up listening to The Beatles. She attended Arkansas State University, where she graduated with a major in music. After attending Arkansas State University, she self-released one album. She moved to Nashville, Tennessee in 2007 to become a country music singer. She won the Country Showdown in both 2009 and 2010. She self-released her second album in 2011. She toured the Southern United States with various artists in 2011. She released an EP, Jalopies & Expensive Guitars in 2016. She was once invited to perform on stage by singer Eric Church on his concert. She signed with Warner Bros. Records Nashville in September 2017. The New York Times named her song "A Little Dive Bar in Dahlonega" one of the 54 Best Songs of 2017. Rolling Stone named the song one of the Top 25 Songs of 2017. She released her major label debut album, Girl Going Nowhere in March 2018. The album was produced by Jay Joyce. She plays music with her band. Her band consists of guitarist Andrew Sovine, drummer Quinn Hill, and bassist Chris Sancho, guitarist and mandolinist Christ Harris. She also plays guitar. Her self-titled YouTube channel has over 36k followers. she performed at 2019 ACM Awards. She also won the ACM New Female Artist of the Year award there. There is no official information regarding her personal life. She has maintained a low profile regarding her personal life. She might be married, or in a relationship, or single at present. She lives in Nashville, Tennessee in the United States. What are Ashley McBryde's Body Measurements? Ashley McBryde stands at a height of 1.6 m i.e. 5 feet and 3 inches. She has a body weight of 137 lbs i.e. 62 kg. She has an average body build. She has blue eyes and her hair color is blonde. She often dyes her hair dark brown. 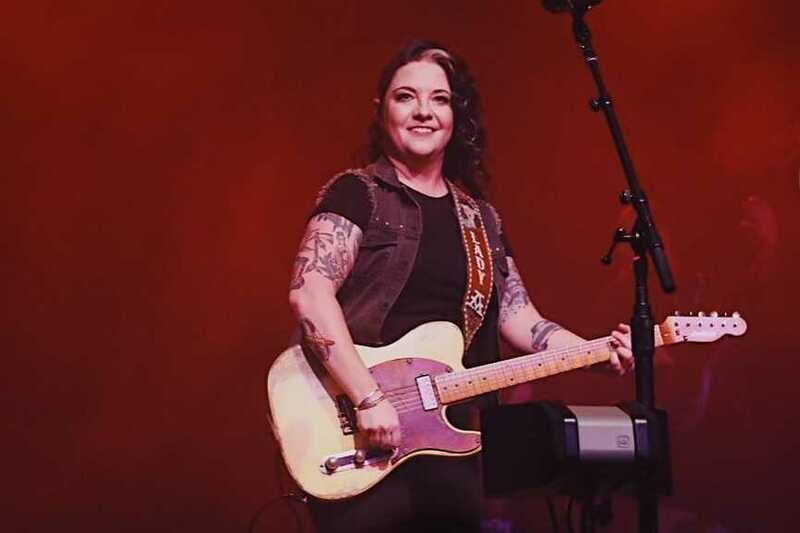 What is Ashley McBryde's Net Worth? Ashley McBryde earns playing music. She is a singer and a songwriter. Working in the music industry is her major source of income. Her net worth is under evaluation. It will be updated soon. She appeared as a musical guest in the Late Night with Seth Meyers in 2018. She is a huge fan of Patty Griffin. She is a dog lover and owns several.